Click the image to enter the exhibit! 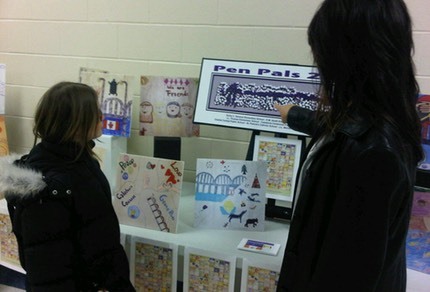 In 2006 The Pen Pal Project began between youth from Six Nations of the Grand River Territory and Caledonia as a relationship building endeavor. The children wrote to each other throughout the school year and met face to face at a year end gathering to share in education, friendship, awareness and fun. 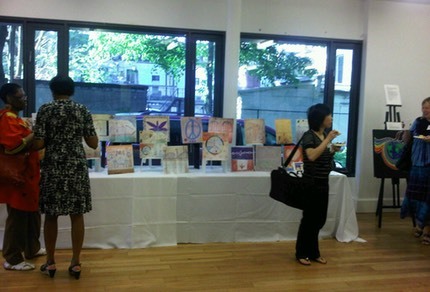 The art for this show emerged from the 2010 Pen Pal Gathering. 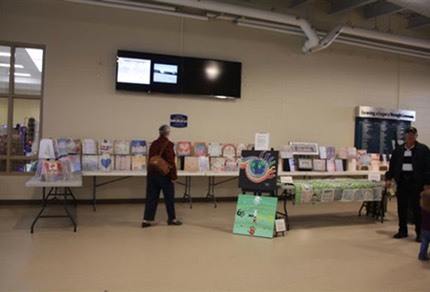 Our exhibit consists of eighty-three pictures created by youth from Haldimand and Six Nations of the Grand River Territory ranging in age from 5 to 13. 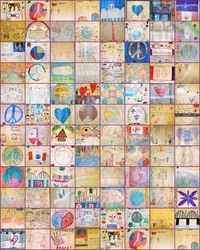 Themes include connection, friendship, and peace between the youth and communities. 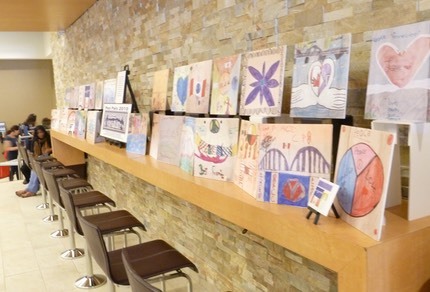 Along with the youth’s art are several pieces crafted by local adult artists who were invited to the 2010 Pen Pal Gathering. Their pieces archive what they experienced that day and speak to what is possible in the collective future. 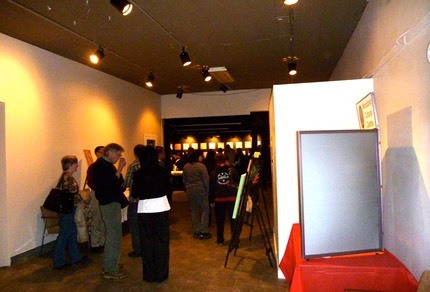 The artists have generously donated their pieces and included a description of their work. A feature piece is an aerial picture taken of the 600 youth and 100 adult volunteers creating a human replica of the Friendship Wampum. This is a symbol of the long standing commitment between Native and Non-Native people to assist each other, and be there for each other as friends and neighbours. Collectively the children’s work begins to archive the story of relationship between the communities. Their images and words of advice offer poignant lessons and hope to all. This is a story that is too important not to share. May it touch and inspire what is possible for other communities and individuals near and far.